Small Business Administrator Linda McMahon and small business owner Mike Kovach on small business optimism, immigration reform, the skills gap and the Trump administration's deregulation push. 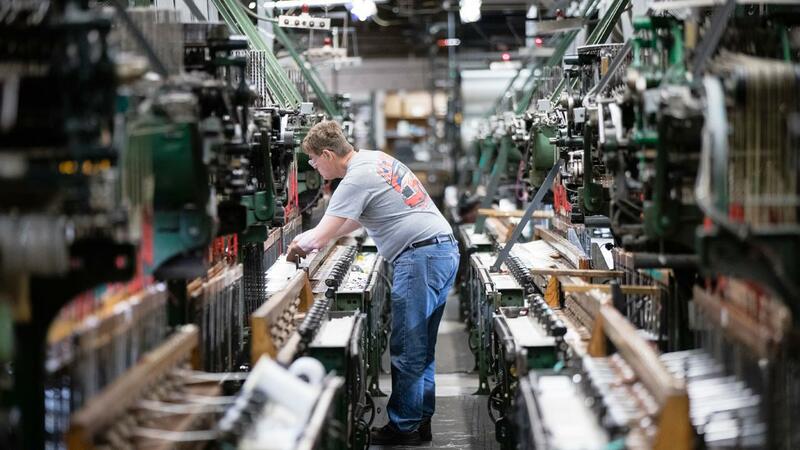 Continued growth of an already strong U.S. economy has lifted small business optimism to post-recession highs, particularly among male business owners, and more owners plan to boost hiring, according to a new report. Capital One said Monday its latest Small Business Growth Index, a biannual survey of 500 small business owners (SBO), found 67 percent of business owners overall think business conditions in their area are good or excellent, up from 60 percent a year ago. While female business owners have historically been more optimistic than males, the survey shows there has been a reversal. Sixty-nine percent of male SBOs say current economic conditions are good or excellent, up from 57 percent a year ago. Meanwhile, 64 percent of women believe conditions are good or excellent, compared to 63 percent one year ago. “We’ve seen small business optimism continue to rise as business owners benefit from a strong economy,” said Jenn Flynn, head of Small Business Bank at Capital One. “At the same time, small business owners still have concerns about taxes, tariffs and other areas of economic policy. SBOs who feel current business conditions are good or excellent say business growth (65 percent), national economic conditions (54 percent) and improved business operations (51 percent) are driving their optimism. One third of small business owners plan to hire in the next six months, an increase from 25 percent one year ago. Thirty-eight percent of small business owners say their biggest competition when hiring and retaining employees is larger businesses that can offer more robust benefits packages. Most business owners feel the current administration has been positive for small business. But health care costs, taxes and trade policy are top concerns, with 49 percent of SBOs saying the cost of health care is a top policy concern, followed by tax policies (43 percent) and economic growth (36 percent). Capital One&apos;s survey was conducted from Aug. 17 to Sept. 13 by market research and business intelligence firm Engine (formerly ORC International), which interviewed a national sample of 501 for-profit small businesses, defined as businesses with total annual revenue of less than $10 million. The margin of error is plus or minus 4.38 percentage points at a 95 percent confidence level.